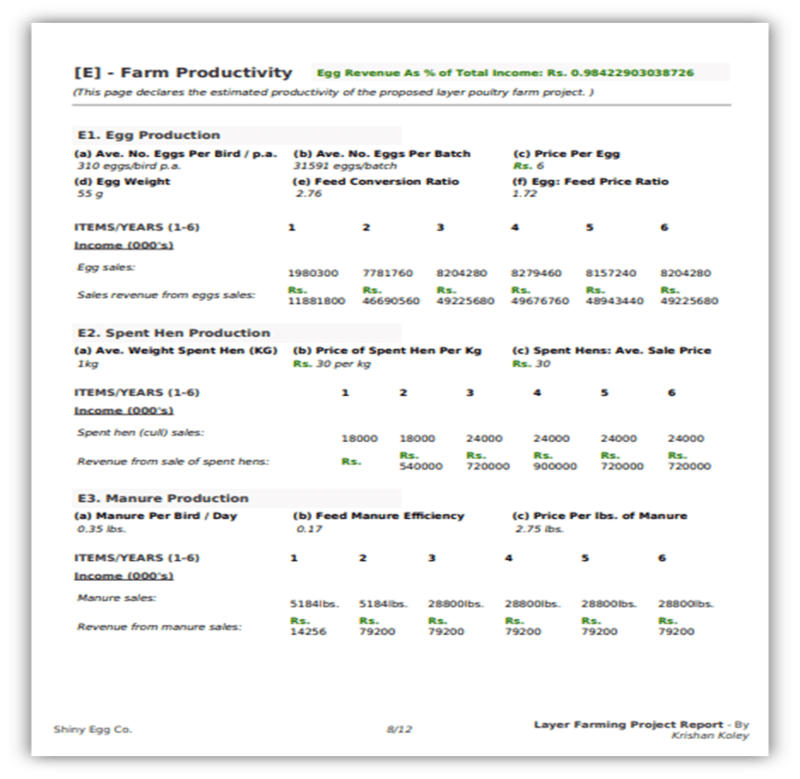 So, you need a WINNING report for a poultry farming project? We've developed this guide to help you write your own custom report with relative ease. So, without further ado - let's deep dive. Firstly, before we get stuck into the detail of this guide - we're going to start by laying down some simple definitions. 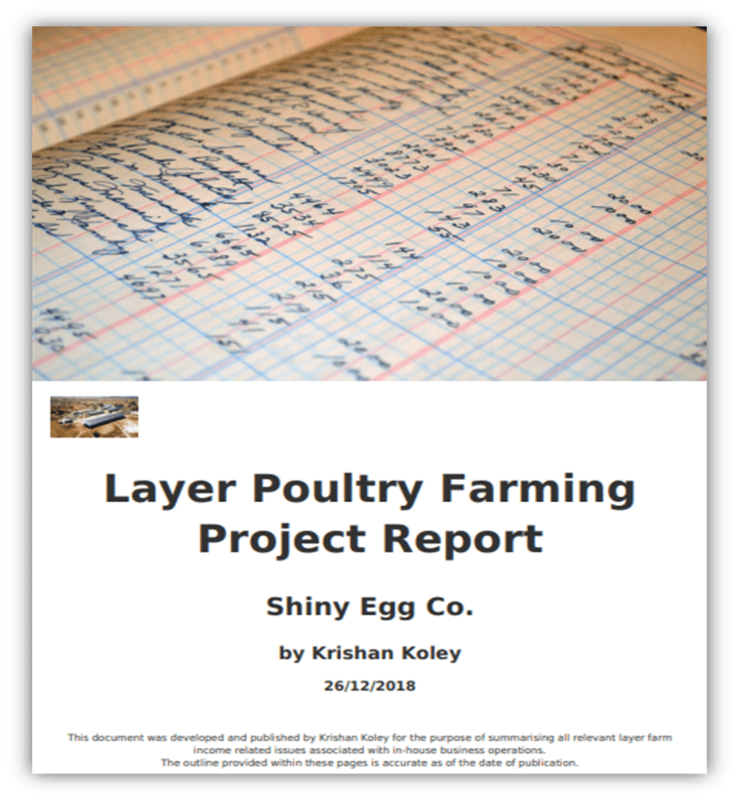 We recommend if you are looking at poultry farming project reports for the first time, then read on. Otherwise, feel free to jump right in! What is a poultry farming project report? It is a critical strategic-level agricultural business document. - A comprehensive management outline of the key investment highlights of a proposed commercial poultry farming project. - a quote by The BIG BOOK ProjectWho's responsible for writing these project reports? Generally speaking, parties seeking investment or approval for funding to implement said poultry project. 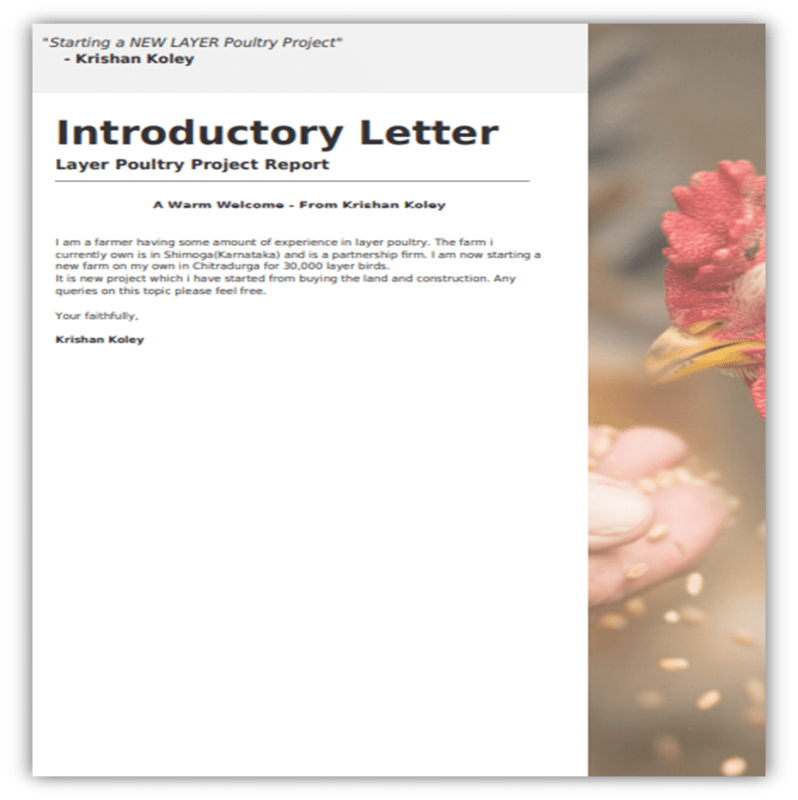 What is the ideal structure for a poultry project report? The concept of a poultry farming project report originates from academic sciences. The fact that it's agricultural is not really the point at all. To concisely present the critical project-related information to investors for a confident decision to be made. Where do start? What should it contain? No hard and fast rules here. Instead, what matters is how well the report serves the key messages enclosed to the reader(s). what will make it easy for them to find that in my report? Don't despise the small detail here. Answering these questions is a critical success factor for passing the examination of your investors/lenders. Investors and lenders are gatekeepers to funds. They are stewards who have been charged with responsibly allocating financial awards. They are accountable to their authorities and must be able to confidently declare their rationale for every last resource released. Ok, so what are investors looking for from a poultry project report? Point #1 in the list above implies demand. For every business venture to succeed, there must be demand. In other words...your proposal must solve a problem. Is there a genuine gap which your poultry farming project will fill within your marketplace? How do you know if the demand is genuine or not? Substantiate your theory with hard research. Because you want your reader (prospective investor) to be persuaded. You want to make it easy for them to see the value. Point #2 of the list above is the meat in the middle of this sandwich. It's where you demonstrate sound technical understanding (across disciplines) of what it takes to reach your goal. Just like school exams, students who show their 'workings out' and get extra credit. Leave nothing to the imagination of a time poor, highly pressured assessor. Point #3 is the critical hurdle that many favoured candidates trip up at and fail in presenting a project report. If you don't conclude the report with answering the questions posed in the problem - then the whole exercise is a waste. Getting your poultry farming enterprise off the ground is dependent upon the acquisition of adequate funding. For this reason, you'll want go over your final submission with a fine toothed comb to eradicate any errors. Does it take professional training to write a professional project report? If takes knowing your project inside out, plus knowing how to successfully pitch your idea. Professional training will give you a solid baseline and point of reference. But to get the job done well, you need a far more practical sensibility. rinse and repeat until desired result! What scale of poultry farming project is a report like this suitable for? We're really asking the wrong question here. This document is an investment proposal. If your poultry farming project requires investment, then you need a proposal. Whether the scale of proposed enterprise is relatively small, or large by your estimation - the principal of winning investment remains constant. If you are therefore aiming for commercial size poultry farming, then this report is ideal. This type of report, by nature therefore, is not relevant to starting-up backyard poultry operations. Is a poultry farming project report always written in order to get a bank loan? Although this is the most prevalent reason it's required. Reports and bank loan assessments tend to go together - and suitably so. ...this is just to name a few. Which ever way you choose to fund your farm idea, the principal of investment is the same. Running a poultry business is no guarantee that you'll make profit. Where there is the real prospect of risk vs. benefit - the drafting of a detailed report will be customary for the use of all parties around the table. As a prospective poultry farming operator, the decision is yours to choose to absorb the risk, get a grant, or to seek after a commercial contractual partner. - a quote by Global Hunger & World Food Security Initiative: Integrated Contract Broiler Farming: An Evaluation Case Study in India Along the risk spectrum, working with a contracting company lowers the risk for the farmer/operator. Although, the benefit of payment (to the farmer) is given on the condition of operational performance. Like some further reading on the subject? Take a look at this article by The National Chicken Council to drill deeper into the technicalities surrounding contract poultry farming. Now for some agri-technical talk. A poultry farm has two main modes - layer or broiler. Producing eggs or chicken (meat) respectively. They are entirely distinct operations. Each with their own metrics, pro's vs. con's, advantages vs. disadvantages. Here is a quick round up. Egg farming is the most common type of poultry farm. 27 top tips for layer farming project reporting! Possible to grow layers even in unusual spots like roof tops! The facts above just grant some parameters by which to guide your practical planning process. These are norms which will help you moderate the project estimates accordingly. Any other layer related tips? Farming chicken for meat, is otherwise known as broiler rearing (farming). There is a widely acceptable composition, but each assessor will have preference of layout. 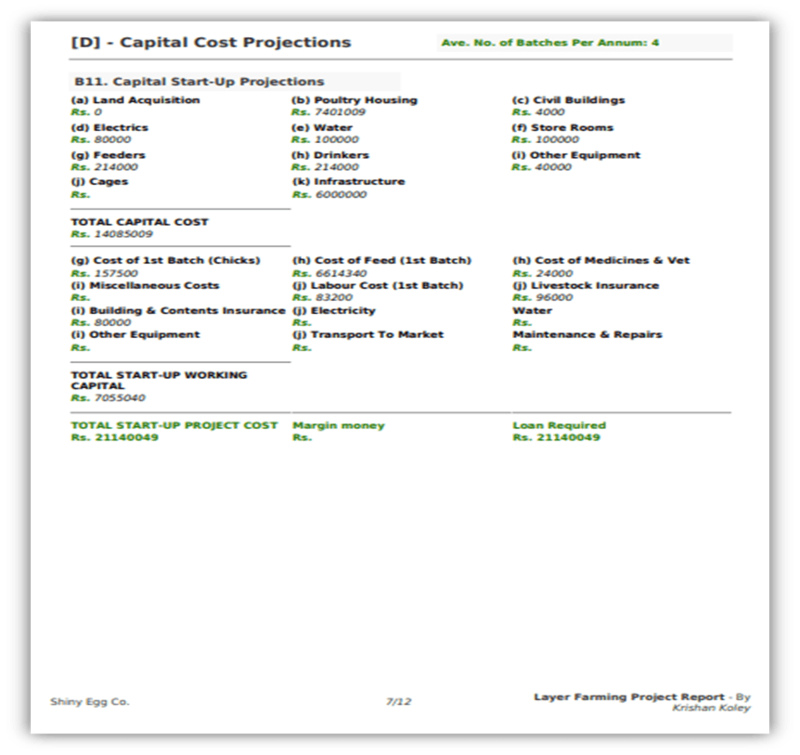 In essence, the report is a means of facilitating an investment decision. It must support the reader in perceiving whether the release of funds or allocation of investment for your poultry farming project is likely to result in a profitable return. ...consider: language, vocabulary, jargon, text size, colors, indexing etc. ...make sure you get the document to your assessor before the deadline! Why are these properties of a successful project report important? Because they serve the reader. Consider it much like writing a CV - you tailor the document to the needs of your audience for greatest success. Problem - "The consumption of eggs/poultry meat in [your market territory here] is on the rise and largely under-served as of [current date]. 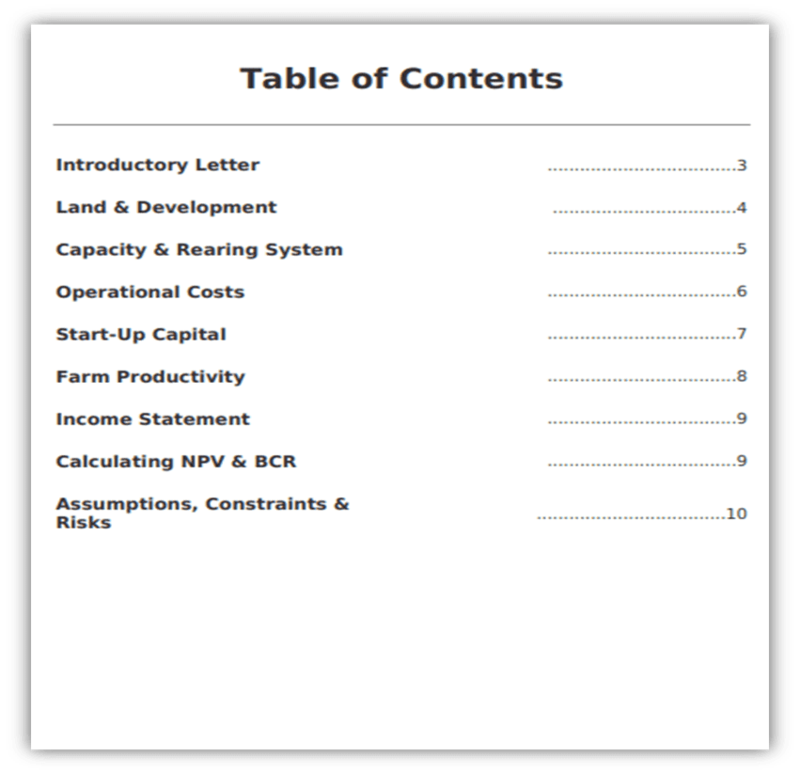 We therefore, see a viable and profitable opening for a sustainable poultry farming operation within this region etc...."
Apparatus - "The following resources and capital assets is our estimation of what will be required to successfully meet the aforementioned need: [insert a table of all necessary resources] etc..."
Method - "The following is some outline detail as to the scale and mode of poultry farming operation [enter some metrics and parameters here] etc..."
Results - "These are some estimates for the operational and financial output of the project [tables showing estimated output]"
Discussion - "We suggest that our proposed project has inherent assumptions and constraints which are as follows: [tables of assumptions and constraints]"
Conclusion - "In summary we consider our proposal highlights to be as such: [table of cost/benefit highlights]"
This is generally what your report should contain. Now, for something more precise...take note. type of farm: layer or broiler. number of birds: per batch and number of batches. available space: housing and outdoor. The remainder of your report should fall into place. ...moderate your report with sound reasoning for prudence sake. This is the official covering page of your entire document. Make your 1st impression count and offer up a solid introduction. The use of images is not entirely necessary, but...project title, author's name, date, logo [if applicable], quick motto...will be good enough. This is not the only way to present your cover page, but we think it covers the main points. 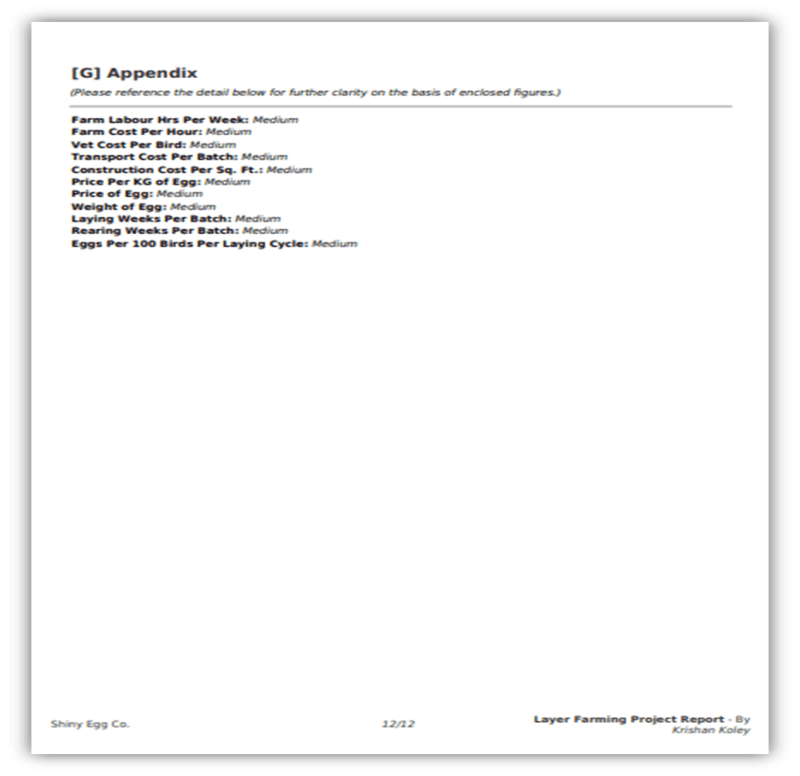 A table of contents to introduce the detail of your report. A well written index makes your document scan-able to read. This is a great quality for producing effectively written business communications. Assist your readers getting to the stuff they want - quickly. Less friction = Better results. A project report is only as good as its author. It is, by definition, an expression of what you plan to do & how you intend to do it. A pitch, with detailed figures to back-up your estimations. It should in many ways speak for itself. However, consider that its typical purpose is to persuade for a favourable investment decision. ...& how (?) equipped they (...you...) are to derive the results enclosed. Although the technical feasibility of the report is usually articulated within a supporting business plan, it still pays to say a little about yourself in advance. A formal introduction of your proposal. This is a covering letter essentially. Use it to apply illustrative narrative to shed light on the following project report detail. Every well written project report has a solid header. What is a report header? It provides headline information which frames the detail below. Common header info includes: title, author, date, appropriate contact details. A useful point of reference and foundation for readers. ...your printed pages become disordered on the busy desk of your reader? On each page, a simple footer declaring the project ID, author and page reference will suffice as a signpost to guide anyone lost back on track. Geographic location is a critical element to any farm business project. In this section, showcase your chosen plot complete with relevant pros and cons. Images help your reader get visual perspective on what you're really talking about. The success of your farm will have much dependence upon how well your local market demand will support your business. As well as demand, the inputs of materials, labourers and suppliers will largely be affected by your geographic location. Give assurance in this page. Provide scope to accompany your vision. Define the size and farming system which will support your projected successes. 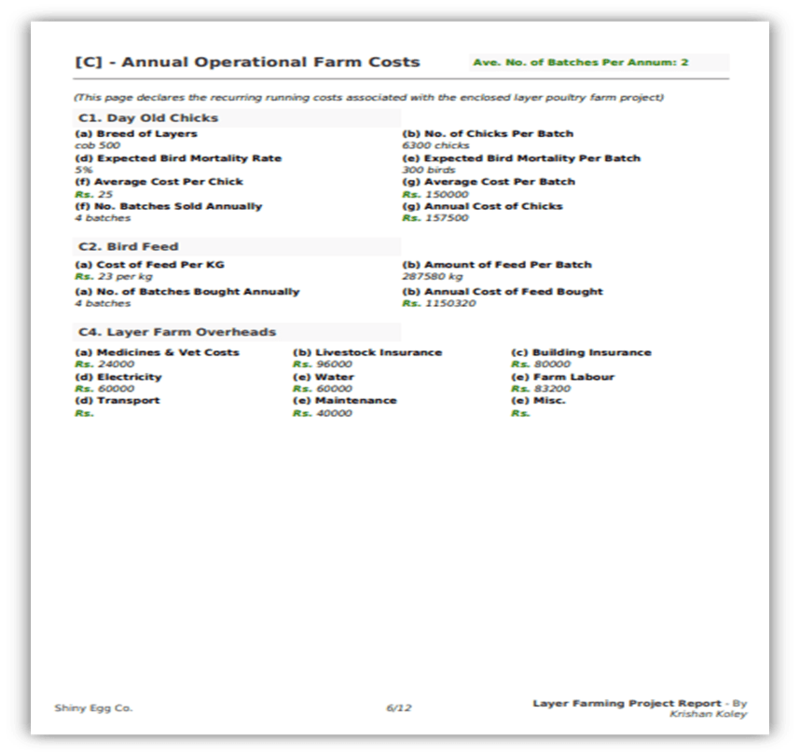 How your farm productivity is geared or engineered, will directly affect the costs, revenues and key timings associated with the running your enterprise. 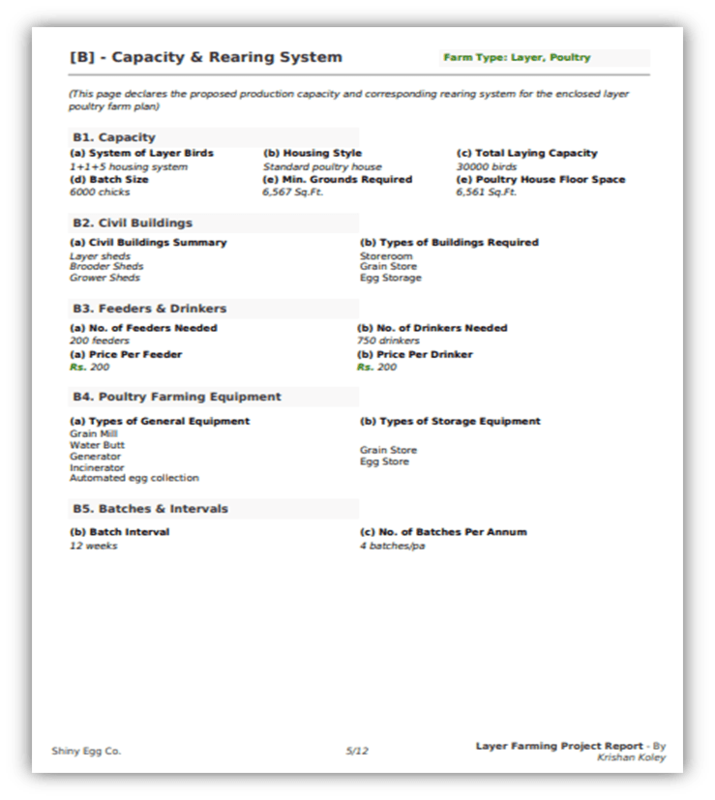 See the 'capacity and rearing system' section as the 'engine room' of your poultry project report. High spec engines demand greater levels of fuel, but offer more output in performance. Lower spec engines cost less to get going, but consequently have a much lower head room of performance. Running costs directly impact profitability. For the sake of the longevity of your business, keep a keen handle on your costs. - in this way keep a level headed view of what your true rewards should be after deducting the direct cost of sale. This is the part we've all been waiting for! As with every business, your poultry farm is only worthwhile if it makes sales. Broiler or layer farm types will dictate the primary product. However, both have some useful 'by-product income streams' too. Namely, gunny bag sales and manure sales. Determined largely by your chosen rearing system and capacity. So, exactly how much money do you need to get things going? (...that's assuming this farm vision exceeds your current financial ability). This is where you will detail all the necessary start-up costs associated with getting your poultry farm in motion. This is the trade-off between income and outgoings. This statement answers the question..."is your poultry farm commercial viable?" Every poultry farm which is worth an investor's interest will provide a significant return on investment. Gross profit or surplus ( = income - expenses) is the figure which will be under the most scrutiny. True investment decisions are not binary. Ultimately, wise investors know that wealth is difficult to come by. It takes hard graft. It's value is entirely derived by use. If it is not being used, it loses value (opportunity cost). If it is used, but is underutilised and produces below par returns - this is considered a loss against more fruitful potential uses (again, opportunity cost). Each investment opportunity carries a profile for returns. Usually a percentage return on investment is the headline figure. For example, a savings account might offer a 5% interest rate of return per annum. On an investment sum of 100,000 this would materialise 5,000 return in year one. How does this figure compare with the prospective returns detailed within your poultry project report? With every investment decision, there is the element of competition. Consider this when assessing the attractiveness of your business proposal. Net present value and benefit cost ratio are both ways of expressing investment attractiveness. What are the conditions upon which the future potential successes enclosed in your report are dependent? Give a balanced approach to your business vision here. This is reassuring ingredient within the body of any project report. Any detail which would make the understanding of your calculations within sure. List your supporting facts and figures here. 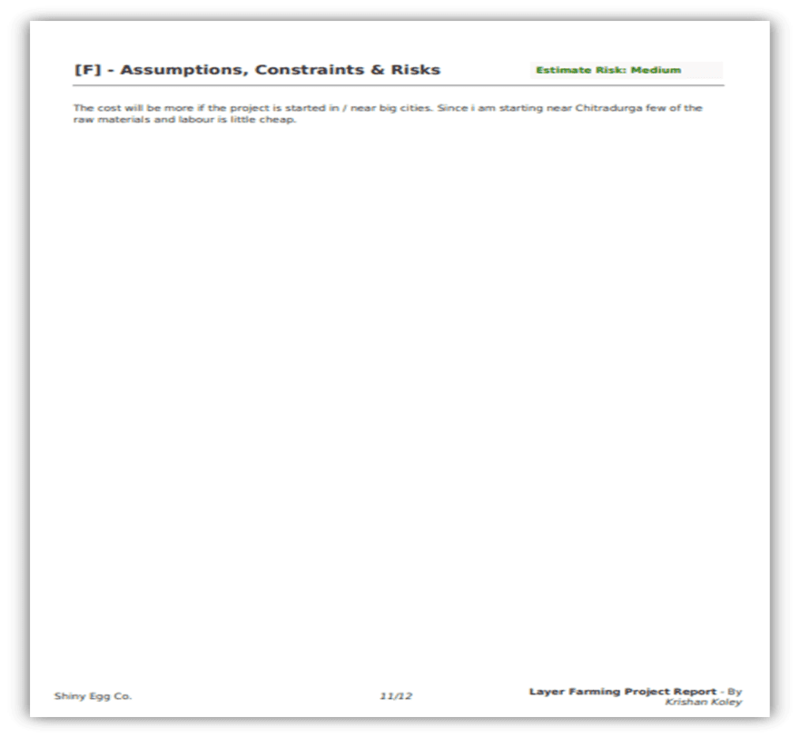 Looking for a sample report to guide you in writing your own project report? ...we are able to send you one for any capacity or size of farm. Just ask. Simple fill out the form at this link. Want a poultry report in a language other than...English? This website just wouldn't be worthy of the name, The BIG BOOK Project, unless we truly served the needs of our readers...like you. As such we are currently seeking to recruit the help of volunteer translators! - we'd gladly welcome a contact. Please feel free to suggest a solution. ...if you are an able translator in any of these tongues and want to share, please feel free to get in touch. 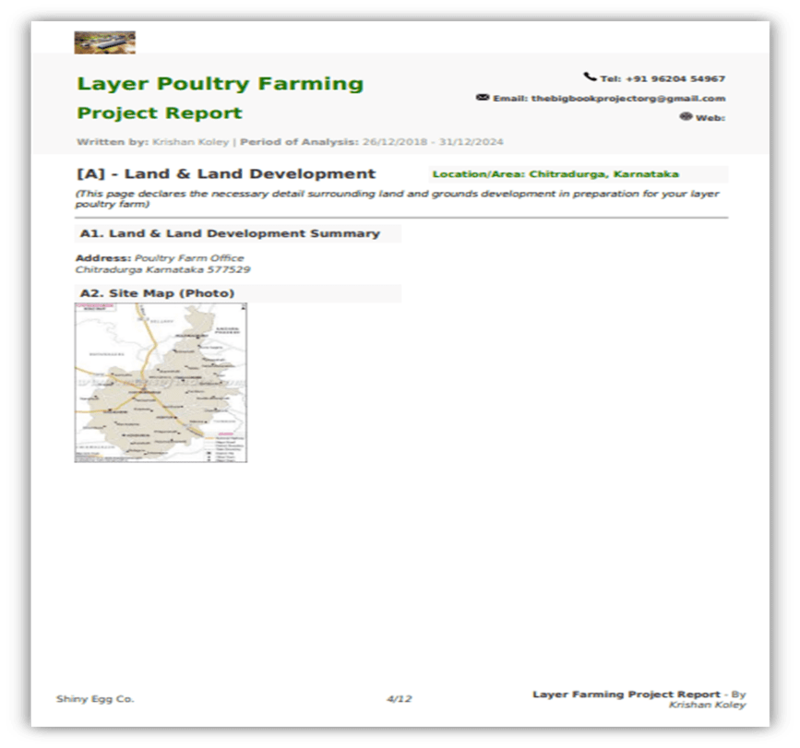 Are you in need of studying a localised poultry project report? Your poultry project report needs to be customised to your local marketplace. This requires local knowledge which will influence pricing, cost, technical detail. "Which is more profitable, broiler or layer poultry farming?" Broiler farming and layer farming are entirely distinct from one another. They have separate income, profit/loss & cash flow profiles too. Depending on the capacity, housing type or rearing system each form of poultry farm can be tailored to provide optimal returns to suit any investment model. There are major economies of scale involved, but note, that greater scale translates into greater investment risk. Mitigation of said risks is key to unlocking successful investment. "What are the major overheads (expenses) involved in running a poultry farm?" Feed is the majority expense in modern poultry farming. Depending on your chosen breed of either broiler or layer hen (if you are farming for meat or eggs respectively), there will apply a typical feed efficiency or conversion ratio. Simply put, some birds convert feed more efficiently into either meat or egg. Getting the optimal mix of breed and feed efficiency right especially with broiler farming gives great benefit - why? Because chicken meat sold by weight. The more weight gained for less feed intake - the better your profit. "Where am I able to find reliable techno-economic poultry farming metrics online?" Your local government websites will provide key facts and numbers to use within your plan. Localised data is necessary for a viable report. "Where is start-up funding available for such projects?" The main forms of poultry project funding are: savings/personal income, loan, equity investment or subsidy/grant. Essentially, if you fund your own project, you maintain ownership. If you get external assistance, you might take lower personal risk, but you will give away varying degrees of sovereignty (control). Think clearly and carefully before making start-up decision. "What if I need poultry farming business advice? Where can I go?" Poultry farming experts, like VTU India as well as business consultants are quite easy to find online if you search thoroughly. The issue is getting sound, reliable, local knowledge and from experienced individuals or teams - ready to serve. This is where The BIG BOOK Project comes in...we provide expert tools, resources and affordable consultancy for poultry farming business people across the world. Have a question for us? Feel free to ask. Our team here at the The BIG BOOK Project are in the process of curating, producing and maintaining the most comprehensive online digital repository of poultry project business materials. Coupling top quality content creation with effective use of multimedia channels & technologies is one of our principal business aims. Need professional advice for writing your own custom poultry farming project report? ...an online PDF generator capable of producing professionally formatted poultry farming project reports. 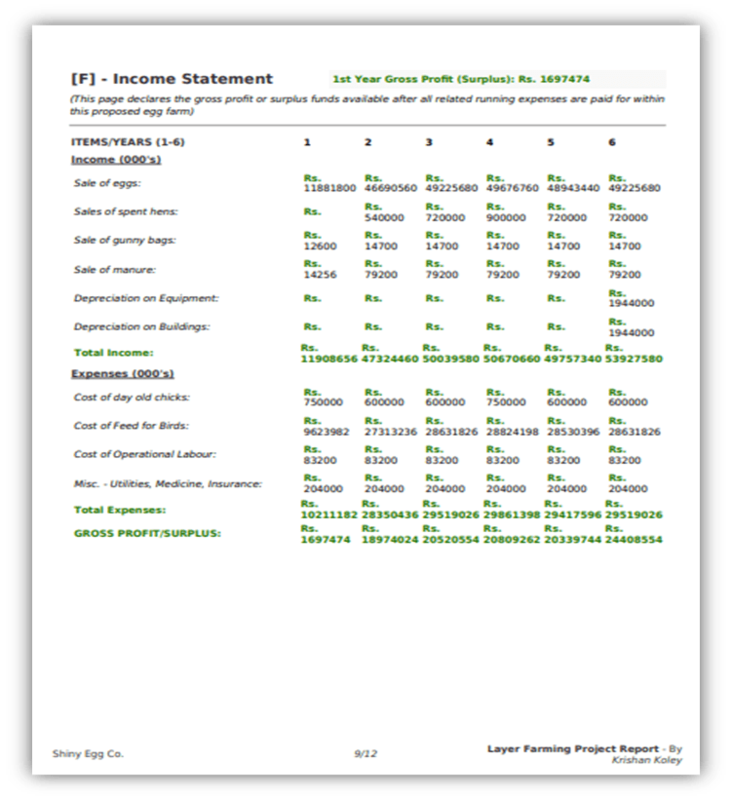 Our reports are generated via the use of a simple web form (complete with auto-calculating metrics) - the resulting output is a professionally presented, project report available for download in PDF format. 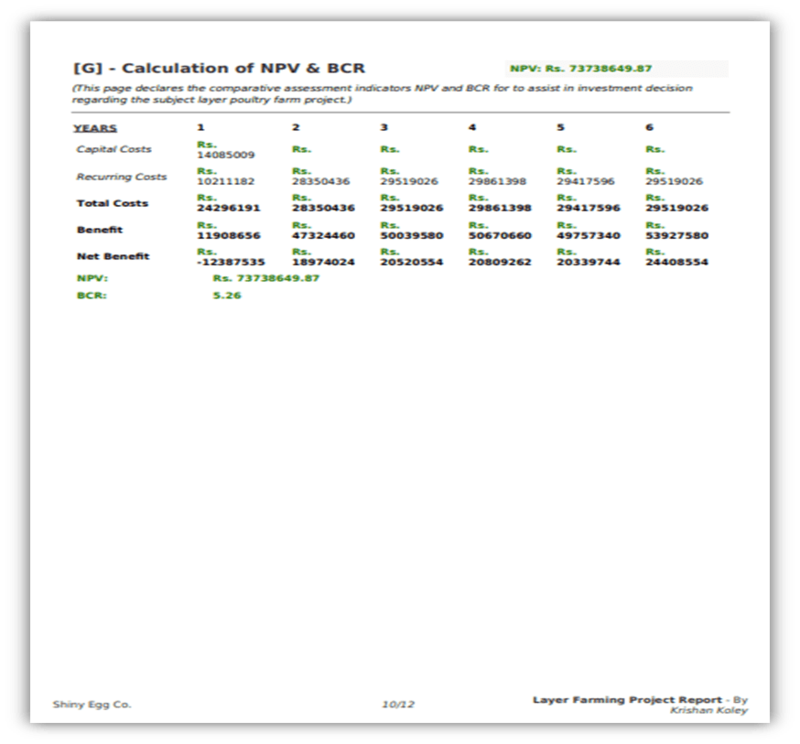 The project reports are customisable for any country or currency and are available for both layer or broiler style farm. This digital service is available to our paid subscribers only - with access given for $20 per quarter (3 months). Produce your own poultry farming project report - without any consultancy! ...like model of farm, pricing, types of equipment etc. 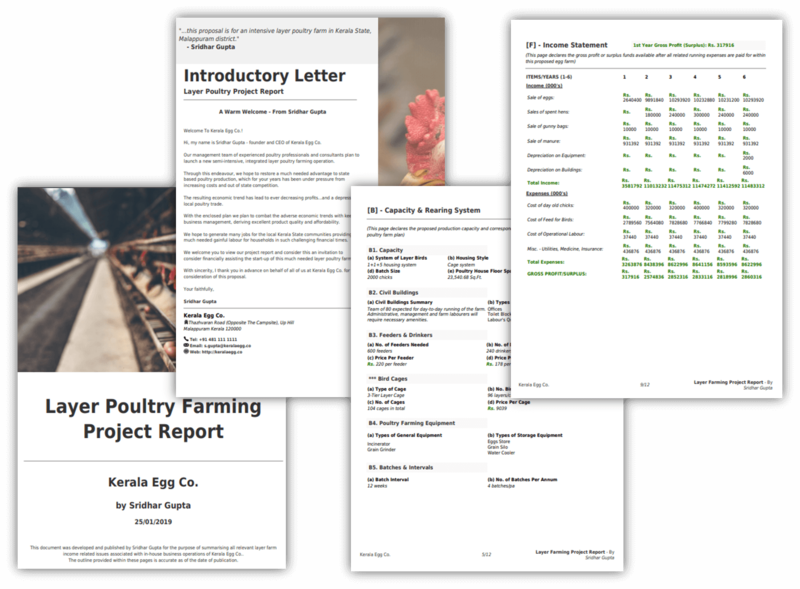 Online resources like Quora and blogs such as Roy's Farm are ideal for fact finding when writing your poultry project report. Writing a poultry project report requires advanced technical discipline - especially in financial planning. Your approach when writing your report will largely impact its effectiveness. If acquisition of funding, or attracting an investment partner is your aim, then you'll want to ensure your plan hits the mark, first time round. Getting professional help can give greater assurances of success. However, your plan is your vision and needs to be owned by you. We hope this article helps you get to grips with the fundamentals of getting a bankable report together. If you want to ask any questions, please feel free to get in touch with one of our business consultants. In the meanwhile, feel free to bookmark this article or download it for reading again later.